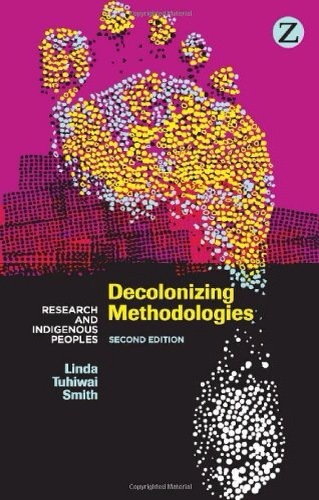 The Second Edition of Decolonizing Methodologies will be the essential textbook for anyone involved in researching indigenous people, and a classic text in research methodology. To the colonized, the term “research” is conflated with colonialism; academic research steeped in imperialism remains a painful reality. This essential volume explores intersections of imperialism and research – specifically, the ways in which imperialism is embedded in disciplines of knowledge and tradition as “regimes of truth.” Concepts such as “discovery” and “claiming” are discussed and an argument presented that the decolonization of research methods will help to reclaim control over indigenous ways of knowing and being. Categories: Decolonisation, Indigenous, Indigenous Suicide Prevention, Mental Health, Suicide | Permalink. A great resource for researching Indigenous suicide. Many thanks to The Indigenist for the recommendation!